Someday I'll Sleep Autism Blogs: Pi Day! Today I promised the kids that we were going on a walk and that I thought it might be to the zoo. And then I realized that Paul had gone in for a twelve hours shift at work and I the old garage key on my key ring is not for the current lock. And that meant I didn't have a stroller. 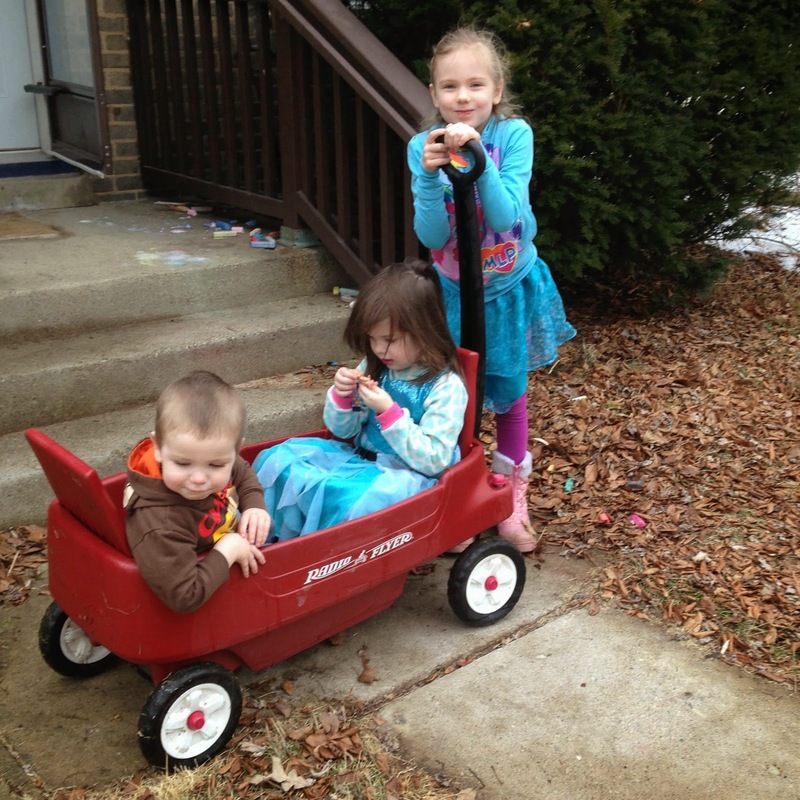 I went into the backyard, hosed off the wagon, dried it off and loaded the kids into it. However, I decided that the zoo was just to far with the wagon (it's actually only .1 mile longer than where we ended up going) and so we opted to go to a local museum instead. I completely forgot that it was Pi day. 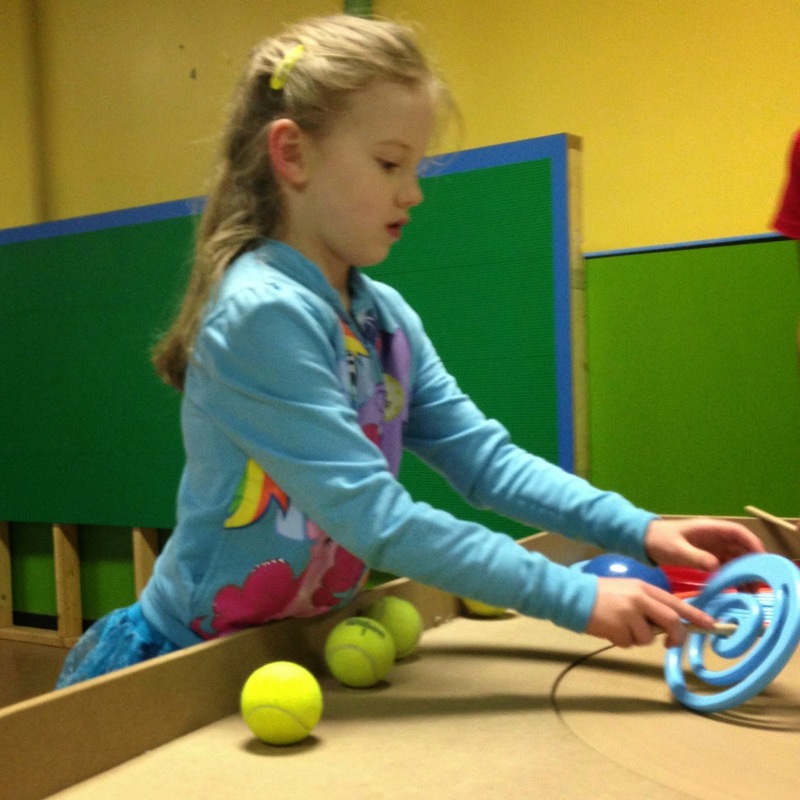 And since it's Pi Day there were Pi day activities! Maggie made me a bracelet (which I will totally be showing to every single person who so much as glances at me this week because I'm so incredibly proud of it). And than we realized that that giant mouth wasn't even the largest mouth there. I knew Sadie would love this the moment I saw it. The child flosses every night on her own. When we ran out of floss she fretted about it until I went to the store to get more. We had to move on from the tooth brushing exhibit when someone became a little possessive of the toothbrush and started screaming anytime anyone touched the giant tooth brush that he'd decided belonged to him. 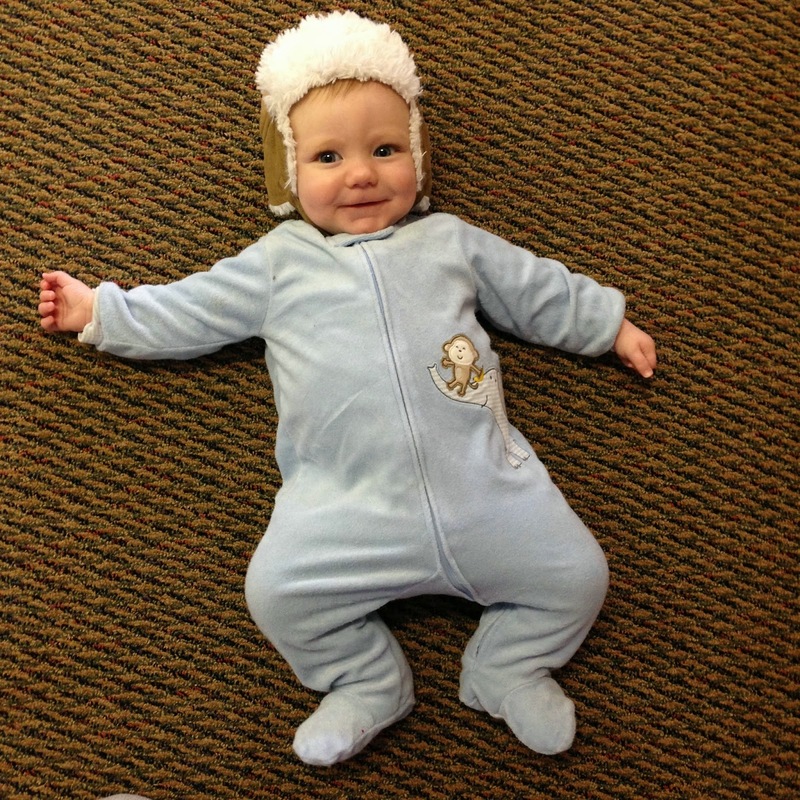 And James even took a break from being in the carrier and spent a little time on the floor. The big kids had a tea party. This was moment #3 today that made me very, very happy... Moment #1 was when Mae pointed to a bus. 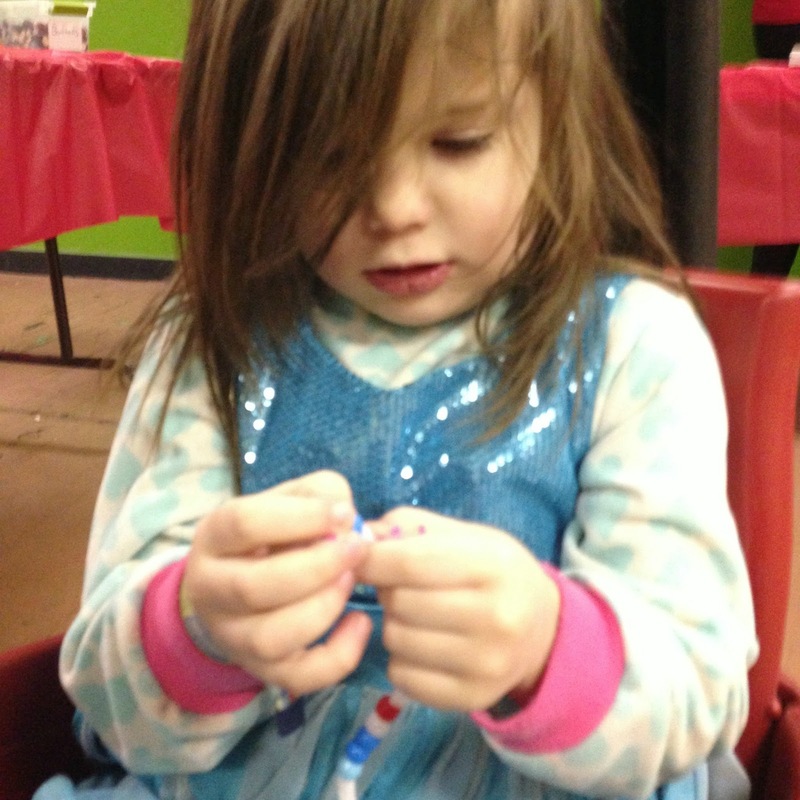 #2 was when she made the bracelet. And this tea party was huge too! Somebody fell asleep on the way home. I have no idea how he managed it, but I am now convinced that he could sleep anywhere. 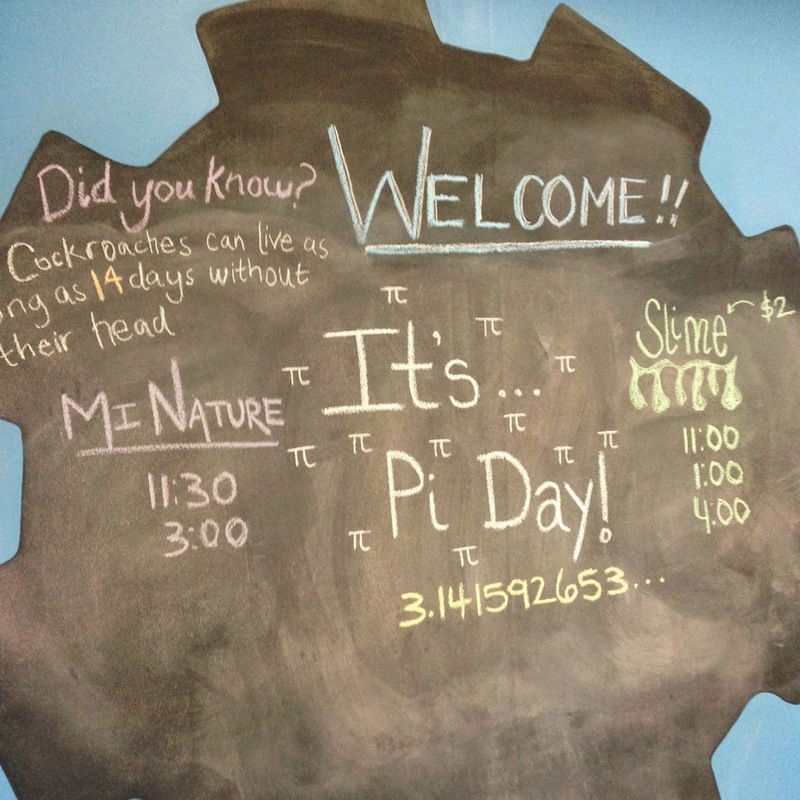 And that was our Pi Day! Our almost four miles of walking with the little red wagon, and our trip to the museum, definitely made a day that would have felt long with Paul gone for so long feel, fly by. What a great museum! Sounds like the perfect day! It's perfect for not quite warm days!